Thanks. Hope you find many smiles throughout the day Judy! Your two photos are a perfect lesson in how color changes depending on what surrounds it. Love the orange on orange first image. Great to see your ladybirds (as we strangely call them). It is interesting that only in North America are they ladybugs. Haven’t seen all that many lately so was happy to find this one. Your ladybug, or ladybird beetle ( 🙂 ), shot is fabulous! Ah, I caught that. 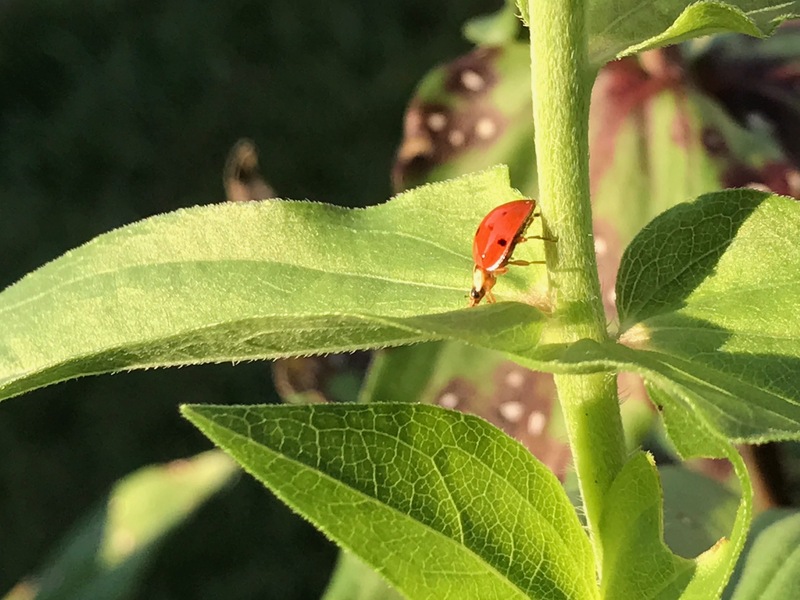 Looked it up in wikipedia and found, “Entomologists widely prefer the names ladybird beetles or lady beetles as these insects are not classified as true bugs.” Did not know that Tina, so thanks for the tip. Great shots! Isn’t wonderful when you are at the right place at the right time? Thank you, it was a fluke actually. Just dashed outside for a moment! but no accident…your skill with a camera is much in evidence. Sweet! I just realized that I haven’t seen many ladybugs here at all this summer. Thanks Kris. 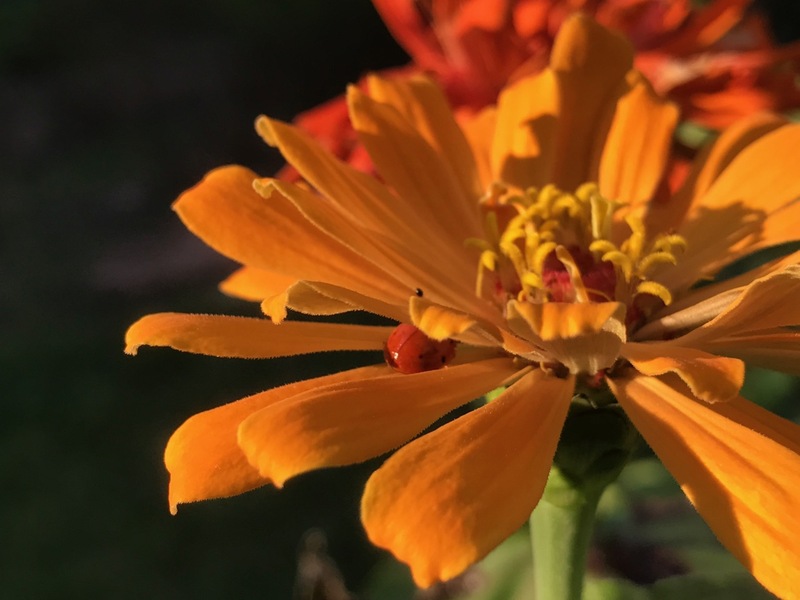 Same here–havent’t seen many ladybugs either this year. That’s pretty cool. I’ve not seen many here. I love the colours and composition of that first shot! Thanks so much. I was pleased with that image and it was lucky to be in the right place at the right time. Wow such beautiful pics. The first is so colourful and warm. The ladybirds look so good in both photos – so well positioned. Brilliant! Thanks, it was fortunate to catch the light and that rich color that day.